General Motors Company (GM) operates as a major firm in the automotive industry by addressing relevant competitive issues, such as the ones outlined in this Porter’s Five Forces analysis. Michael Porter’s Five Forces analysis tool determines the intensities of forces linked to competition, along with the external factors that contribute to these forces. In General Motors’ case, competitive rivalry is seen as the most significant among the forces in the industry environment. This condition reveals the importance of strategies that strengthen the company’s competitive advantage. Strategic efforts must align with General Motors’ generic strategy and intensive growth strategies for competitiveness and growth. For example, the company must implement measures to maximize process efficiencies, which contribute to cost leadership and, thus, competitive advantage. Strategic decision makers must prioritize business issues and challenges according to the intensities of the external factors and forces shown in this Five Forces analysis of General Motors. A Porter’s Five Forces analysis of General Motors provides insights on the most significant external factors in the automotive industry environment. This external analysis of the business can guide managers in developing solutions to support GM’s resilience. While these five forces vary in their intensities, all are significant in General Motors’ strategic formulation. The company must ensure that solutions and strategies are suited to the forces and applicable to the corresponding external factors. Recommendations. Based on the results of this Porter’s Five Forces analysis of General Motors, it is recommended that the company focus on boosting its competitive advantage. Strong competitive advantage can protect the automotive business from the negative effects of the high intensity of competition. General Motors’ vision statement and mission statement show that value and technological breakthrough are important variables in the development of competitive advantage. Thus, GM can address the competitive condition of the automotive industry environment through value creation and technological innovation. For example, General Motors can increase its research and development (R&D) investment to support technological innovation. This external analysis also points to the significance of other forces and external factors, such as the force of customers on General Motors’ business. Based on such aspect of the Five Forces analysis, another recommendation is to improve customers’ perception by building stronger brands. Strong brands are already one of the strengths shown in the SWOT analysis of General Motors Company. The high aggressiveness of firms exerts a strong force on General Motors. Such aggressiveness is exhibited through marketing campaigns, rate of innovation, and other endeavors. On the other hand, the force of competitive rivalry is strong, partly because of high exit barriers on companies like General Motors. High exit barriers push firms to remain in the market and seek out more effective strategies against each other. This external factor imposes a strong force on General Motors and other automotive firms. Moreover, even though there are only a small number of large automobile manufacturers in the global market, there are many small and medium regional and domestic players. This condition adds to the intensity of competitive rivalry in GM’s industry environment. For example, General Motors must compete with global, regional and domestic automotive firms to succeed in growing the business. Thus, this aspect of the Five Forces analysis highlights the benefits of aggressiveness in General Motors marketing mix or 4Ps. 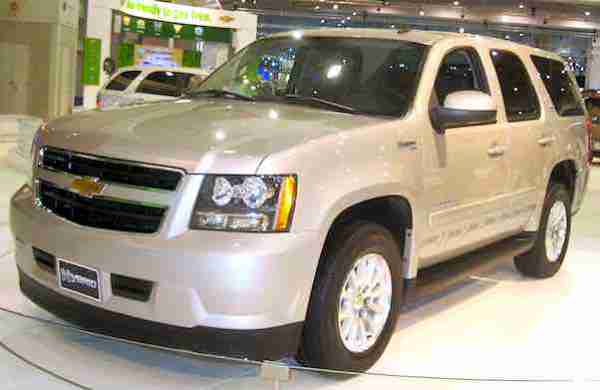 Moderate switching costs are an external factor that creates a moderate force on General Motors Company. Switching costs refer to customers’ difficulty of switching or transferring from one firm to another. For example, customers are moderately likely to shift from GM to other automobile manufacturers because of the price of each purchase. General Motors also faces the moderate force of customers’ bargaining power because of the moderate availability of substitutes. These substitutes include bicycles and other transportation alternatives. However, the intensity of this power is weakened because of the small size of individual buyers that transact with General Motors. For instance, a customer typically purchases only one automobile, which is small compared to the millions of automobiles that the company sells every year. Based on this aspect of the Porter’s Five Forces analysis of General Motors Company, the bargaining power of customers is a considerable but limited issue in the automotive industry environment. General Motors accesses a moderate population of suppliers, such as steel producers. This external factor leads to a moderate force on the company. If there were fewer suppliers, each supplier would have a stronger bargaining power on firms like GM. Another consideration is the high overall supply available to General Motors. For example, because of the high availability of raw and many intermediary materials used for automobile manufacture, changes in an individual supplier’s production have insignificant impact on the automotive industry environment. In addition, low forward integration weakens the intensity of most suppliers’ influence on General Motors’ operations management and productivity. Such forward integration refers to the control that suppliers have on the distribution and sale of their products to companies in the automotive industry. This aspect of the Five Forces analysis reflects the relatively low significance of suppliers in General Motors’ strategic success. Based on the external factor of moderate switching costs, substitutes exert a correspondingly moderate force on General Motors. Also, the moderate availability of substitutes contributes a moderate force on the automotive industry environment. However, the intensity of the threat of substitution against GM is weakened because of the low variety of substitutes. For example, customers are less likely to shift from General Motors’ automobiles when there are only one or a few types of substitutes available in their area. In this aspect of the Five Forces analysis of General Motors, substitutes are a moderately significant strategic consideration. Some new entrants have high competitive potential, leading to a strong force on General Motors and the automotive industry environment. For example, this external factor pertains to possible new firms and joint ventures involving large corporations, such as Apple and Google (Read: Porter’s Five Forces Analysis of Google, Inc.), which have interests in advanced computing technology implementation in automobiles. General Motors also faces moderate switching costs that enable, to a limited extent, the shift of customers from GM products to those of new entrants. However, the high economies of scale in automobile manufacture impose challenges against new entrants. Based on the intensities of external factors in this aspect of the Porter’s Five Forces analysis of General Motors Company, new entry is a significant but limited force on the long-term success of the business. U.S. Department of Commerce – International Trade Administration – Global Steel Report.